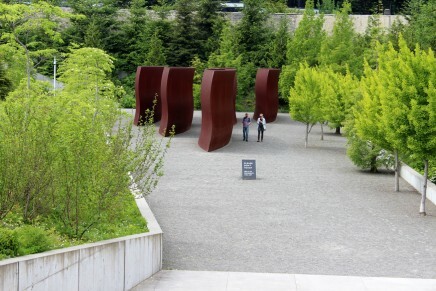 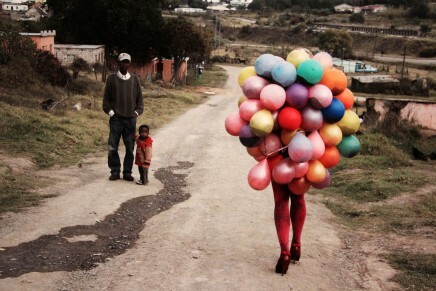 SEATTLE—A series of bold, bright and arresting canvases are on view at the Seattle Art Museum. 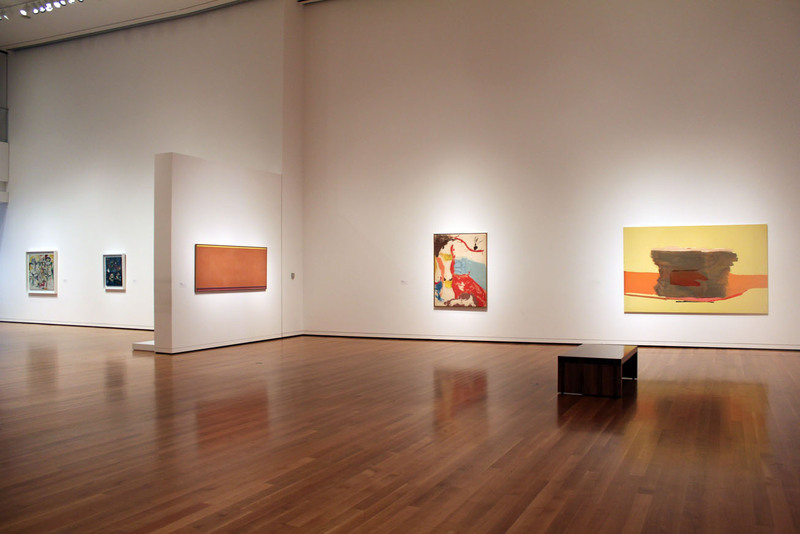 “From Abstract Expression to Colored Planes” considers the expressive and abstract style of painting that emerged in early 1940s New York and the more stark color planes that defined practices a couple of decades later. 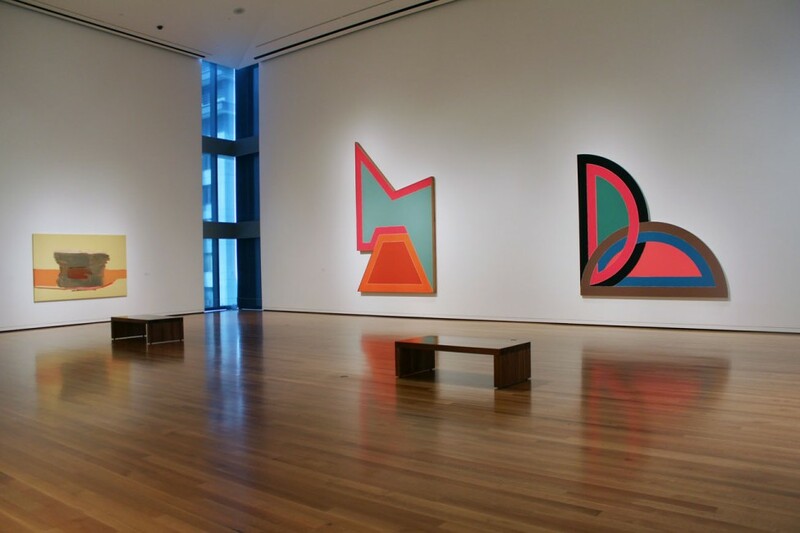 Works from the museum’s collection by Hans Hofmann, Arshile Gorky, Jackson Pollock, Lee Krasner, Ellsworth Kelly, Al Held and shaped canvases by Frank Stella are included. 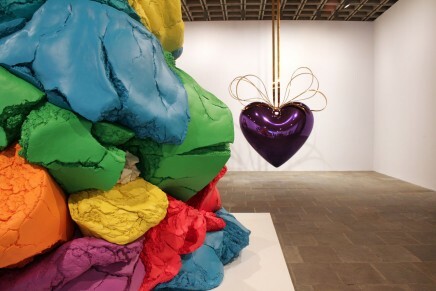 The exhibition is on view from March 16, 2013 to Nov. 9, 2014. 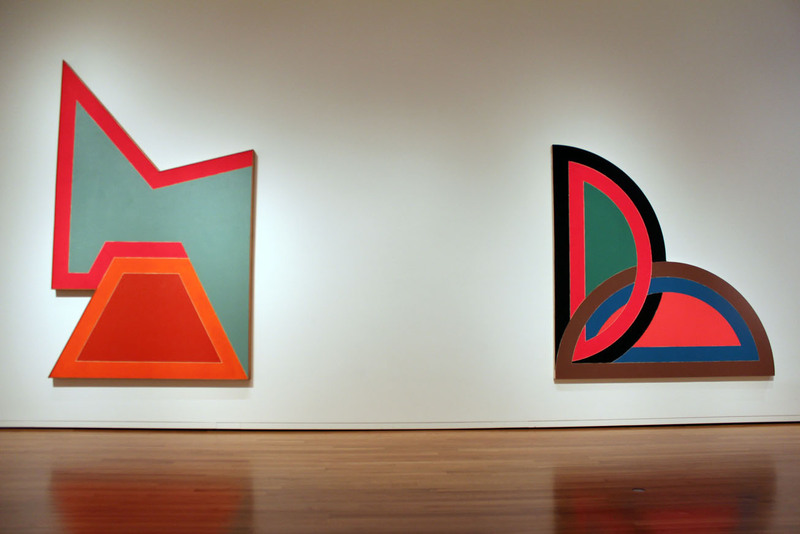 From left, “Wolfboro III,” 1966 (fluorescent alkyd paint on canvas) and “Sabra I,” 1967 (acrylic on canvas), both by Frank Stella. 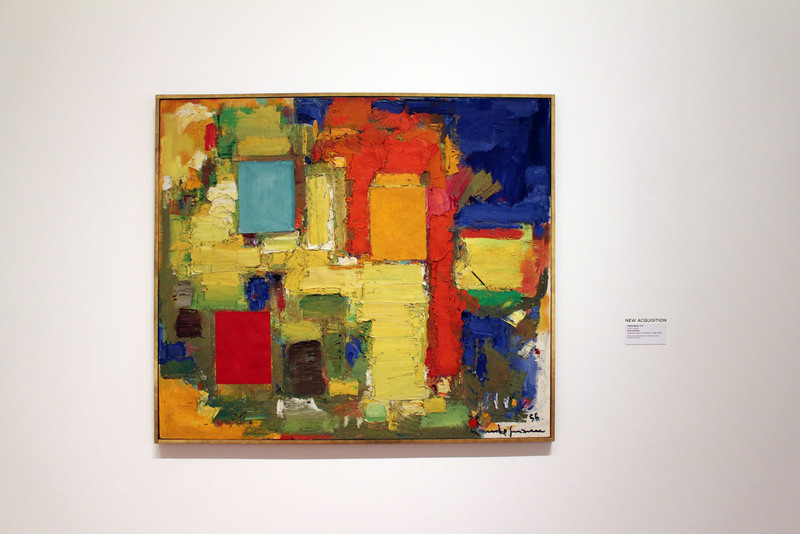 “Yellow Burst,” 1956 (oil on canvas) by Hans Hoffman, is a new acquisition. 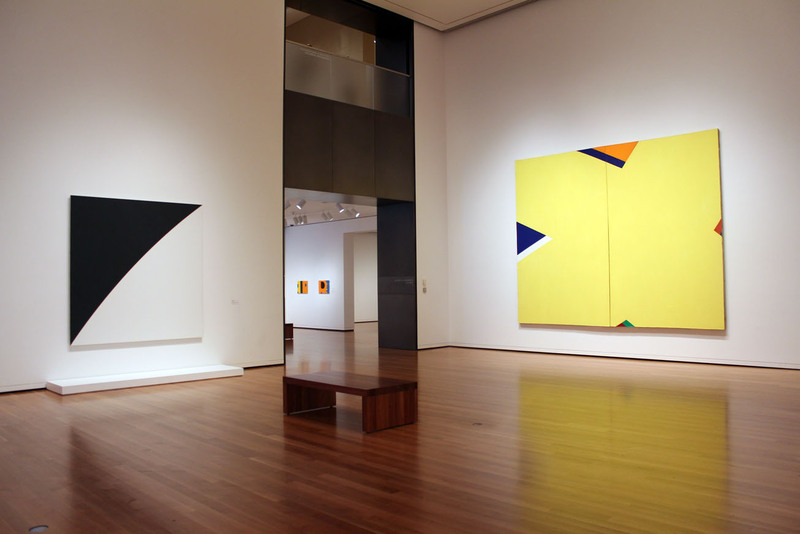 From left, “White Curve V,” 1973 (oil on canvas) by Ellsworth Kelly and “The Yellow X,” 1965 (acrylic on canvas) by Al Held. 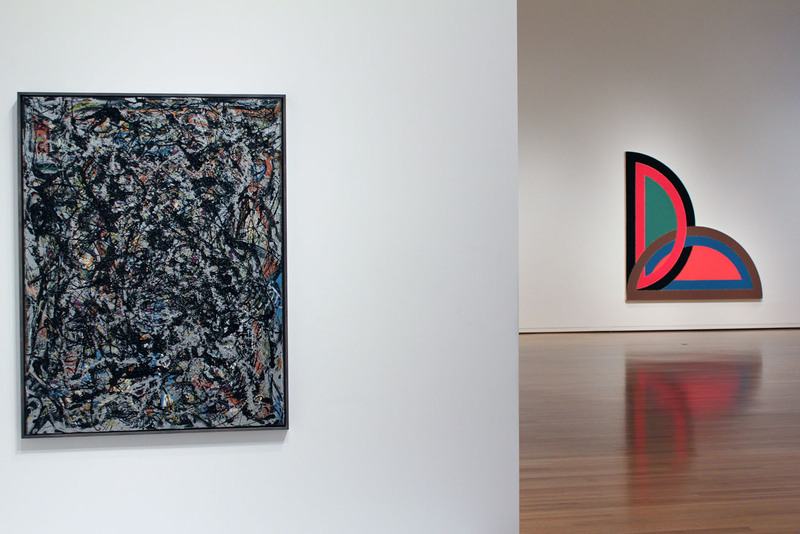 From left, In foreground, “Sea Change,” 1947 (artist and commercial oil paint, with gravel on canvas) by Jackson Pollock, and background, “Sabra I,” 1967 (acrylic on canvas), both by Frank Stella. 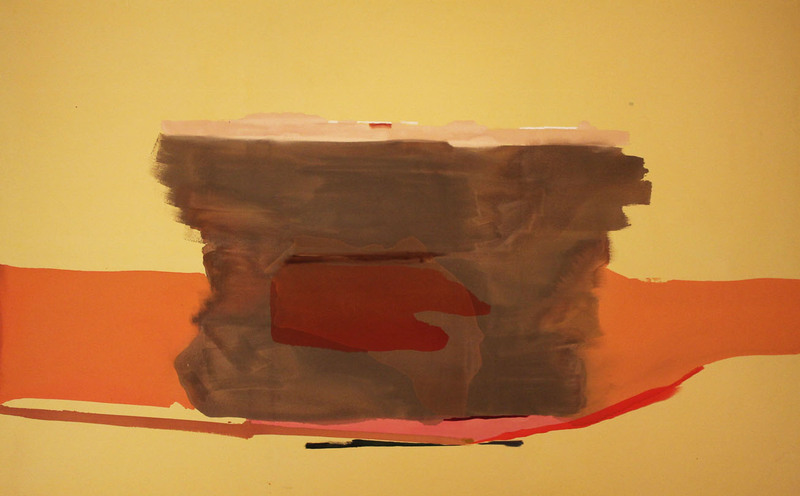 Detail of “Hold,” circa 1974 (acrylic on canvas) by Helen Frankenthaler.